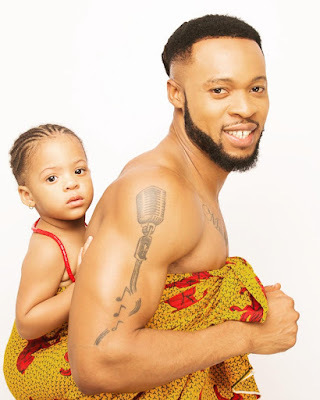 Music Artiste Flavour backs daughter Sophia as she celebrated 3rd birthday.. The singer shared this adorable photo putting his daughter on his back to celebrate her..
"Cos it’s ur birthday 🎁 I ll go the xtra mile oo🎵.HAPPY BIRTHDAY MY QUEEN 👸 I LOVE U" he shared.. Happy birthday to the lil lady..